Summer vacation got off to a bit of a false start this past weekend. Matt and the boys and I were very much looking forward to a couple of days of having nothing specific to do after school finished for the year on Friday; we planned to spend most of our time enjoying the sunshine and water in our backyard. We ended up enjoying water all right, in the form of copious amounts of rain that fell all weekend long. 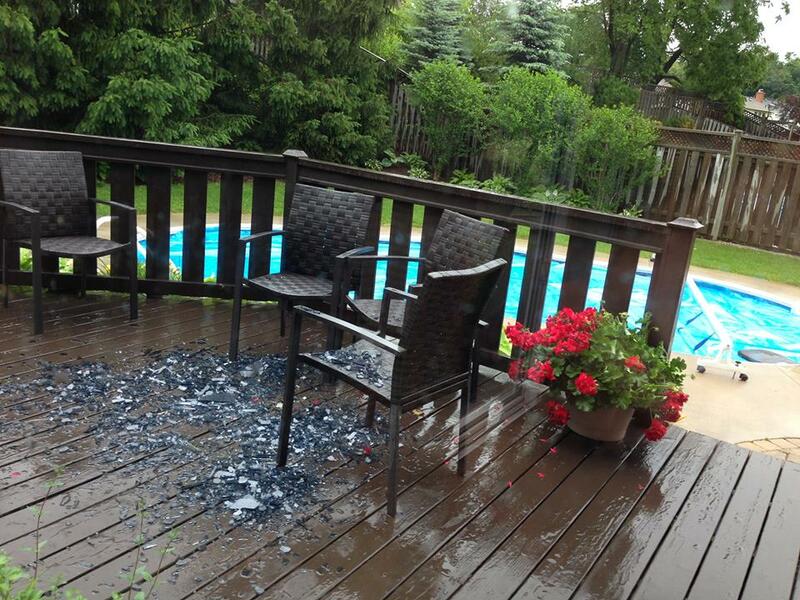 The sun was nowhere in sight, and the rain brought with it some crazy winds that picked up our patio table and threw it upside down, smashing the glass top into a gazillion little pieces all over our deck. We still made the most of an otherwise quiet family weekend, though -- we played board games, and worked on solving puzzle cubes (Noah and Will are both hooked on the Pyraminx these days), and baked, and went shopping for a replacement patio table (one without a glass top!) And today, the warm sun came back out and our summer got off to a wonderful, real start. Hot summer days call for tall, cool glasses of refreshing drinks, and one of my favourites has always been pink lemonade. What I don't love about most of the store-bought varieties of this tasty summer thirst-quencher, though, is the excessive amount of sugar they contain. I've discovered that it's very easy to make my own lemonade at home, using real fruit rather than sugar as the starring ingredient. Fresh strawberries (especially the deliciously sweet Ontario ones that are in season now) add a pretty pink hue as well as a wonderful flavour to this lemonade, and real lemon juice, sweetened with only a tablespoon of honey, makes sure it still has a nice bit of pucker power! Wash and hull the strawberries, and place them in the jar of a blender with one cup of the cold water. Blend on high speed until the strawberries are completely pureed. Strain the strawberry mixture through a fine mesh sieve (to remove any seeds), into a tall pitcher. Add the freshly squeezed lemon juice, the remaining five cups of cold water, and the honey to the pitcher, and stir the lemonade with a long spoon. Finish off the lemonade with a handful of ice cubes and some lemon slices before serving.